Rosie Murray is a maths student based in Glasgow. I am also the one writing this, and hope this proves interesting enough that you come and see a small selection of my art work. My drawings are often prompted by being unable to sleep at one in the morning, and influenced by whatever TV programme I happen to be watching at the time - particularly female-driven shows such as "Person of Interest", "Bomb Girls", "Orphan Black", "Agent Carter", and "Lost Girl". 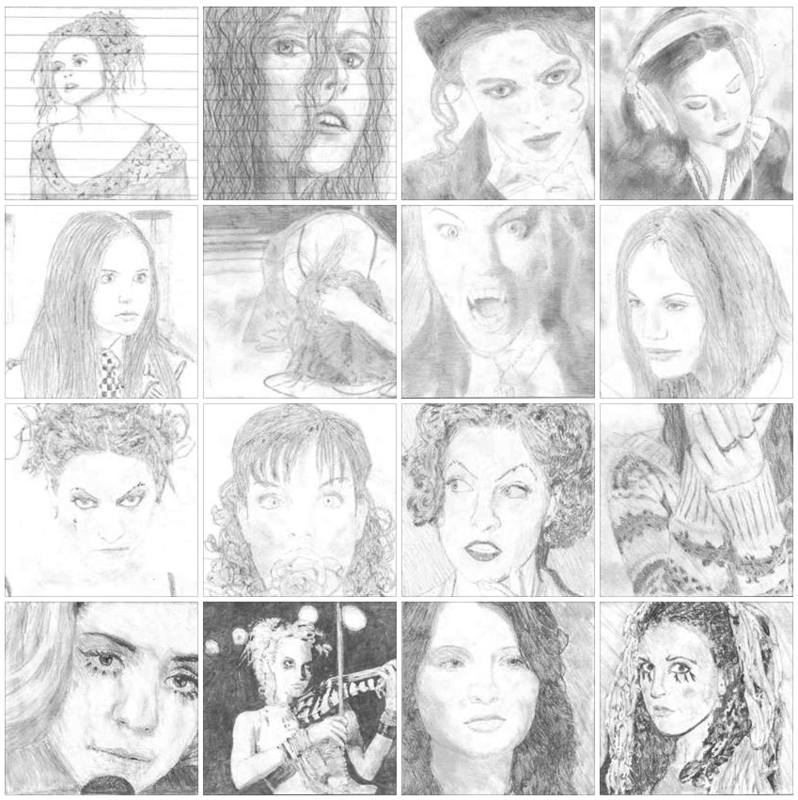 I also find inspiration for my art from musicians such as Emilie Autumn, Lindsey Stirling and Amanda Palmer. I usually work solely with graphite pencil but occasionally I draw something more colourful. I’ve also created several high contrast collages with charcoal. When doing such collages, I enjoy using a medium that matches the subject matter - for example, a collage of a musician made from pages of their sheet music. The selection of artwork you will be able to view at my exhibition are some of my favourites, although the choosing process was particularly challenging. I loved working on each of them, and I hope you enjoy looking at them as much as I enjoyed bringing them to you. Rosie's Gallery One will be on display in Alba Customs from Saturday 10th September 2016 until the New Year 2017. Join Rosie and friends on Saturday 10th from 6pm at Alba Customs for the Launch party to preview her art exhibition. If you're a budding artist looking for somewhere to display your art, please get in touch as we have spaces available for 2017.